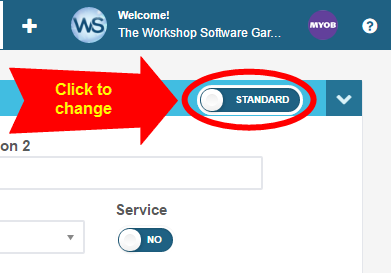 When creating a bundled product (a kit) the individual parts and/or services that make up the bundle need to have been entered first, please see the guide titled ‘Adding a Product’ if you need any assistance in adding a product or service. 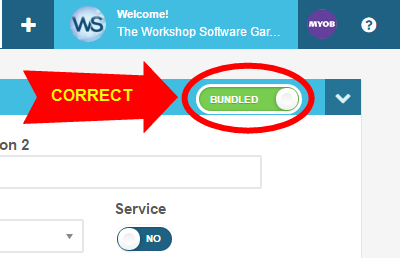 Once the individual parts and/or services have been entered you can create your bundle. 5. 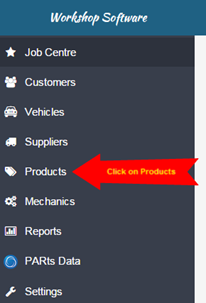 You can now add each individual product and/or service to be included in the bundle. 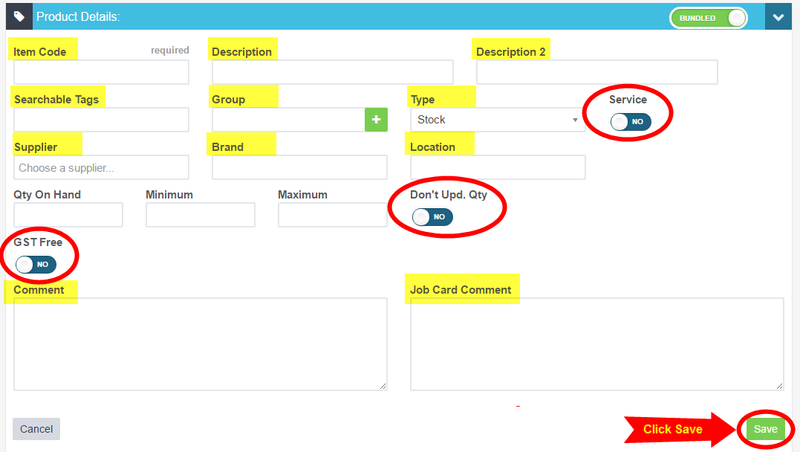 To add a product or service click on the green ‘+’ icon. Once all the items have been entered, click on Save.